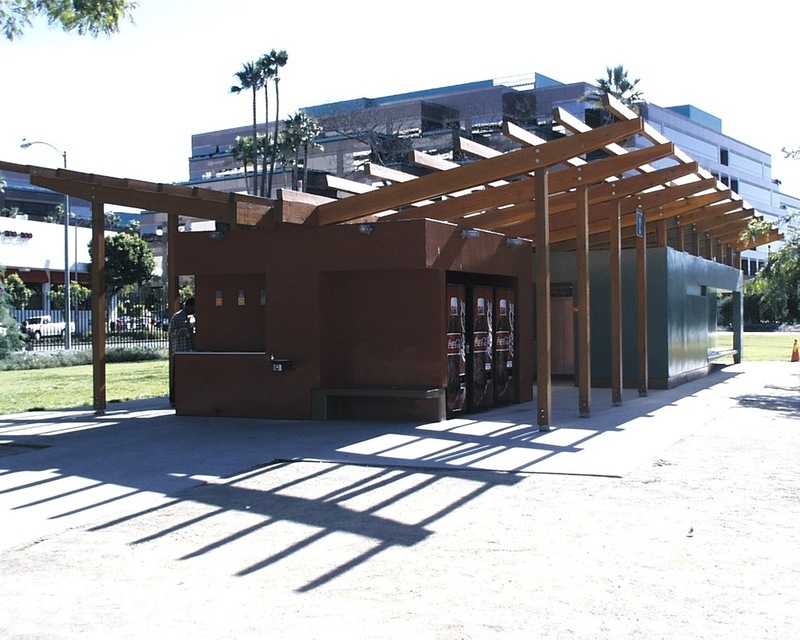 Standing at the southeast corner of Hancock Park, this restroom and vending facility was designed for the Los Angeles County Museum of Art and the Natural History Museum. Situated in a grove of trees, the building allows for a continuous feeling of connection with its surroundings. The solid, smooth-troweled plaster walls mimic the fossilized skull and skeleton of a living creature. 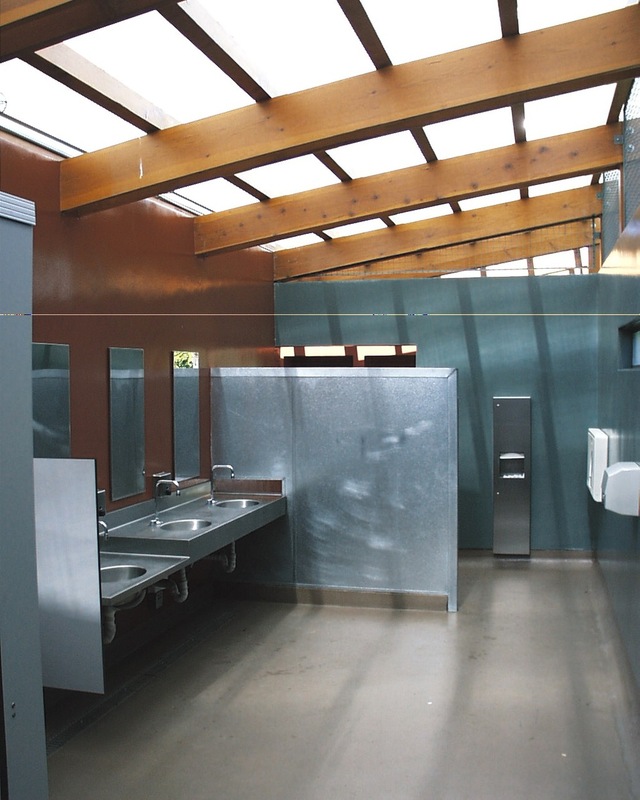 Each mass provides built-in concrete bench seating areas as well as an enclosure for the necessary programs. The lightweight, translucent panel roof allows for an abundance of natural light, as well as a view of the surrounding trees. These plastic roof panels were proven essential for the design, and a modification to the building code was granted to facilitate their use. The panels sit atop an open framed trellis structure that becomes a vertebrae tying the entire structure together. Designed as an open air structure, the building takes advantage of natural ventilation as well as sunlight, dismissing the need for a mechanical system and greatly reducing the amount of artificial light needed by such a building. 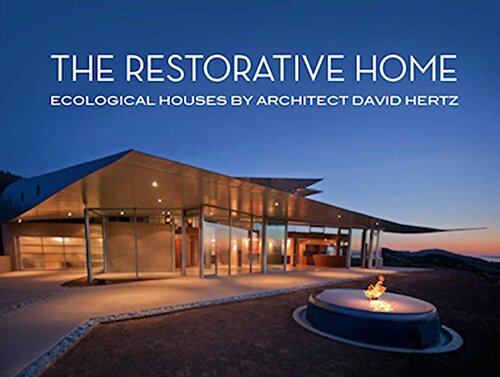 The materials include the use of integrally pigmented, smooth-troweled stucco, natural Douglass fir, sandblasted glass, concrete, and translucent plastic glazing. The building becomes an environmentally responsible and efficient space, allowing for a long life span through lasting materials and other more modular and replaceable elements.